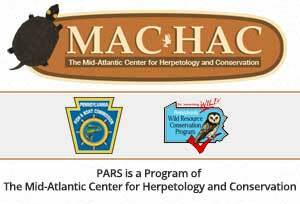 The Mid-Atlantic Center for Herpetology and Conservation is committed to ensuring that your privacy is protected. Should we ask you to provide certain information by which you can be identified when using this website; it will only be used in accordance with this privacy statement. Please keep in mind that this information will be provided with your amphibian an reptile observations to state and federal resource protection agencies, namely the Pennsylvania Fish & Boat Commission, The United States Fish & Wildlife Service, and other members of the Pennsylvania Natural Heritage Program. As volunteers to The Mid-Atlantic Center for Herpetology and Conservation, we are required to keep records of who volunteered and when. Your information will never be sold to a third party. We may change this policy from time to time by updating this page. You should always check this page to ensure that you are aware of any changes. We may collect the following information: name, contact information including email address, volunteer timesheets, and your amphibian and reptile observations. In certain instances, volunteers that conduct certain aspects of business for The Mid-Atlantic Center for Herpetology and Conservation, such as ordering supplies or acting as official volunteer drivers, may be required to submit a Social Security Number or Driver’s License Number. These additional pieces of information will be strictly controlled and not available to the general public or third parties unless a prior request is made to the volunteer.